Tower Grove Neighborhoods Community Development Corporation has moved into a new, more visible and larger, location in a donated space at 2335-2337 South Kingshighway in the Southwest Garden neighborhood. TGNCDC, as many of you know, started as St. Margaret Housing Corporation then changed it's name to Shaw Neighborhood Housing Corporation in 2012. We've actively worked on real estate development, neighborhood marketing, infrastructure improvements and other community development activities in Shaw for over 36 years. 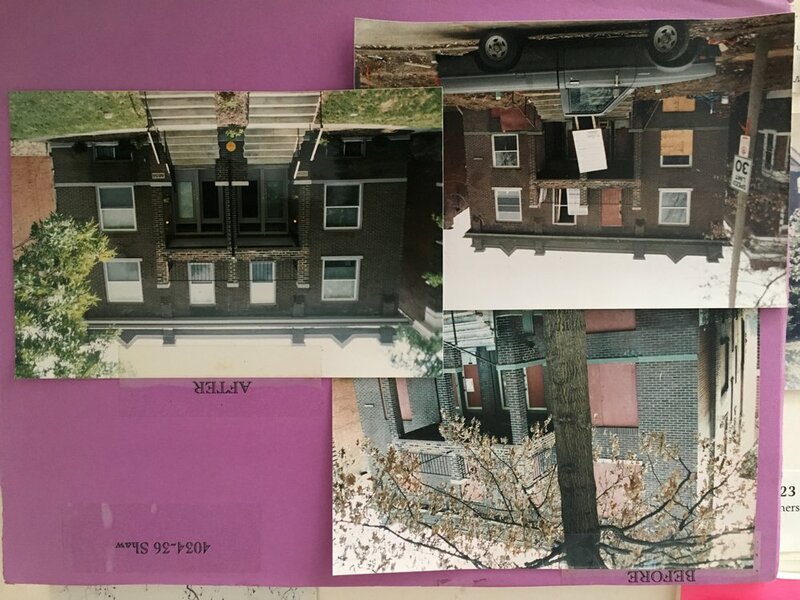 This long and interesting story of a small community development corporation helping to change the direction of a severely distressed neighborhood into a thriving and attractive place to live, work and play. 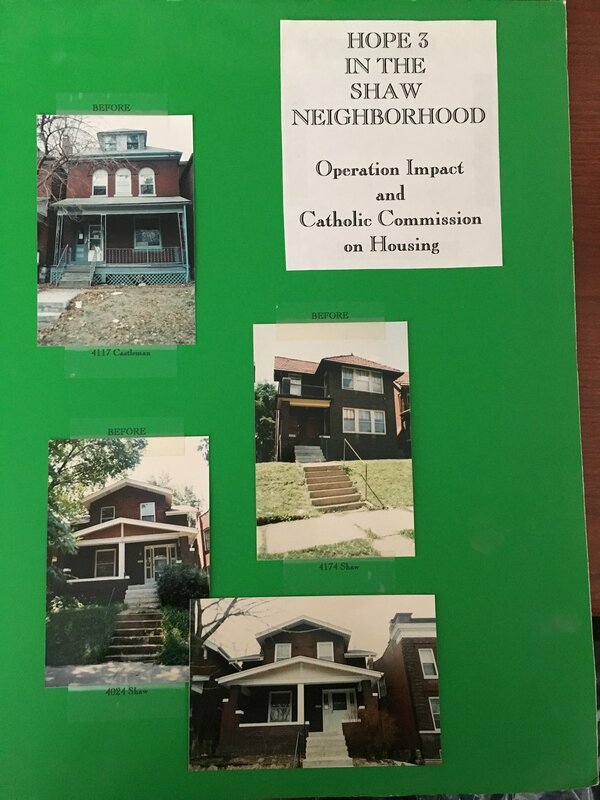 This transformation was a focus in a white paper about St. Louis neighborhoods rebounding with active residents, a respected neighborhood association, a proactive "on the ground" community development corporation, and strong political leadership. You may access it here. 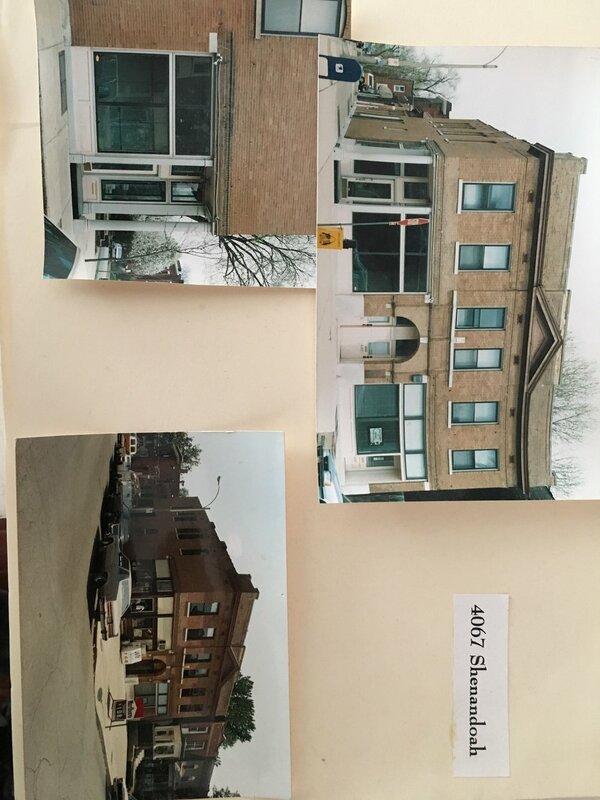 If you've been in our offices, you know we pride ourselves in showing before and after photos and, as we packed up for our next chapter, I realized just how far we've come. 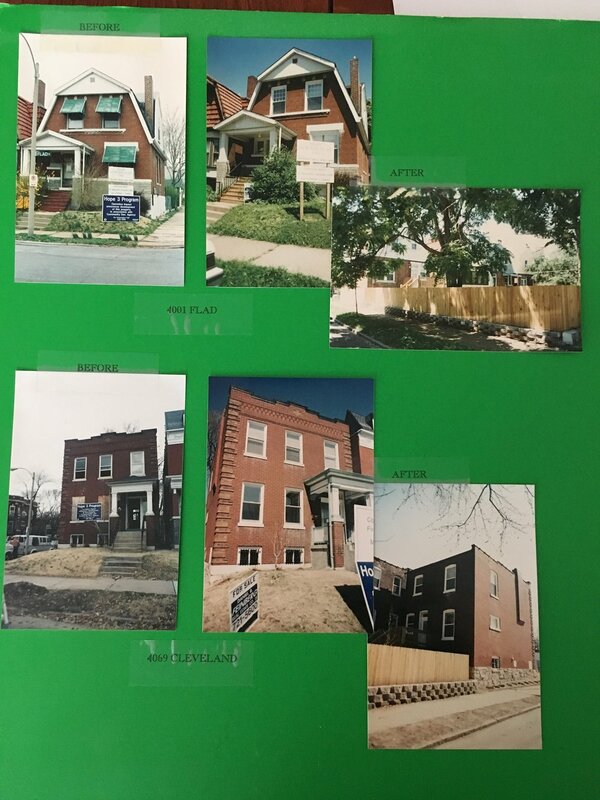 No block in Shaw avoided the disinvestment that resulted in nuisance properties, poor quality rentals, "slum" landlords, and neighborhood wide vacancy. Change didn't happen overnight and, as the director of TGNCDC for the last 8 years, I've garnered a high level of respect for the old and new resident leaders that attend neighborhood meetings, volunteer, help their neighbors and enhance this wonderful and inviting community on their personal time. And as a resident for 12 years, our family loves the walk-ability, local small businesses, parks and recreation, and local school options, but what keeps us here are the people. We may not always agree but at least we care enough to talk about issues openly and I truly believe everyone wants Shaw to keep improving on many levels. When you drive over the crosswalks on Shaw Blvd under new LED lights, passed the renovated Wild Carrot event space and the nicely landscaped building at 3867 Shaw then down the street passed 28 units of newly updated affordable rental housing, TGNCDC helped lead the way. As you walk around the corner from to the improved facade/awnings of the Shaw market and to be completed Bailey's Range development site, grab a cup of coffee from Fiddlehead Fern cafe and the newly renovated single family conversion of the gas station then drop into Thurman's in Shaw for a beer and tacos, TGNCDC helped lead the way. As you bike up and down, block by block, and admire the historic architectural details home after occupied and renovated home then view the new, freshly designed DeTonty Commons development that is located on a previously vacant city block of about 20 years, TGNCDC helped lead the way. We will continue to serve Shaw for years to come, just from a new location outside of the neighborhood. This was an opportune time to reflect on our work in Shaw over the years. Take a look at some of our archived photos below. Thank you for your continued support, stop by and see us and we'll see you around the neighborhoods!